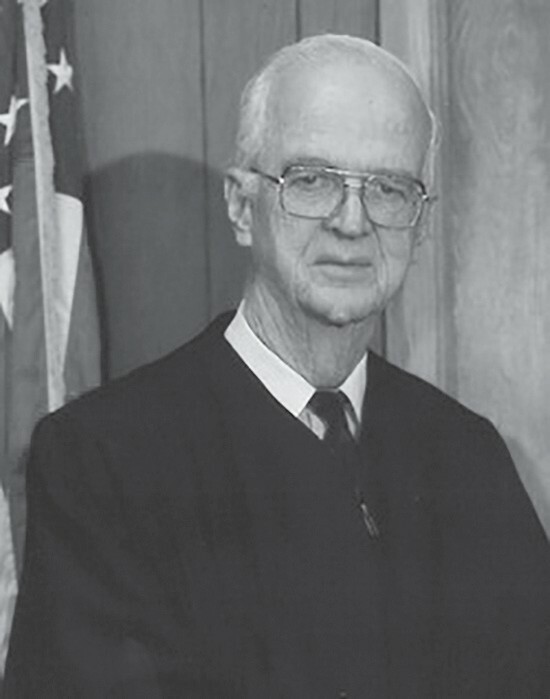 Surrounded by his family, retired State District Judge J. Taylor Brite passed away peacefully at his home in Pleasanton, Texas on January 7, 2019 at the age of 97. His life was defined by his devotion to God, his family, the law, his country, and service to the people of Atascosa County and South Texas. In a career spanning more than 45 years of public service, he served as Atascosa County Attorney, District Attorney and District Judge of the 81st Judicial District of Texas. Following his retirement from the Bench, he served as a Senior Visiting Judge, presiding over cases in 24 counties across the State. Judge Brite was born on October 27, 1921 to Thomas S. and Nora C. (McConnell) Brite in San Antonio, Texas. His father served as a Deputy Sheriff for Atascosa County and his mother served as Postmaster and City Secretary for the City of Pleasanton. He was born into a family that arrived in Atascosa County in 1849 and whose family members have served in public office since the establishment of Atascosa County in 1856. He graduated from Pleasanton High School in 1938. He worked at various jobs in Pleasanton and San Antonio until early 1941when he passed the Civil Service Exam and began working at Randolph Field. He was sent to work at Midland Air Base in November 1941 and continued this work until he was drafted into the Army Air Corps in December 1942. In January 1943, he was sent to Duncan Field (later Kelly Air Force Base) for basic training. He remained at Duncan Field serving in the Headquarters Office supervising all payroll and service records. In June 1943, he was sent to Jackson Barracks in Louisiana, where his entire unit boarded a ship setting sail for Natal, Brazil. In October 1944, his unit boarded three small ships and set sail from Brazil for HIckam Field in Hawaii where he served for the remainder of World War II. Upon receiving an Honorable Discharge from the Army Air Corps, he returned tho Pleasanton but remained in the Enlisted Reserve for an additional three years. He reached the rank of First Sergeant on September 27, 1945 and on December 10, 1947 was commissioned as 2nd Lieutenant of the Air Force Reserves. On June 13, 1947, Judge Brite married his dearly beloved Ruth Frances Calcote Brite in Galveston, Texas. They would spend the next 68 years together, raising four children and sharing a wonderful life. In the Fall of 1947, he entered St. Mary’s School of Law, graduating in 1949. After passing the Bar Exam he returned to Pleasanton to open his law office and begin serving the people of Atascosa County. In 1950, he was elected as County Attorney for Atascosa County and served in that position until February 1960 when he was appointed by Gov. Price Daniel to the position of District Attorney for the 81st Judicial District, a district which spanned five counties of south Texas. 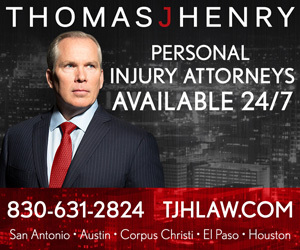 In 1972, he served as President of the Texas District and County Attorneys Association. On January 8, 1977, he was appointed by Gov. Dolph Briscoe to succeed his friend, Judge John F. May, as Judge of the 81st Judicial District. He served in this position until July 31, 1985, when he retired as Judge of the District. Following his retirement, he served as a Senior Visiting Judge for the State over the next 10 years. During his terms in public service, Judge Brite won reelection every time he ran and only once had an opponent. Judge Brite carried many titles during his lifetime. Among them were Husband, Dad, Paw Paw, Judge, Christian, friend and author, and he excelled at all of these. During his lifetime of travel, he and Frances both worked on gathering a vast amount of information on their respective families. They conducted research in many U.S. states as well as England. The result of this lifetime of work were family history books that have been published as the definitive genealogical books on the Brite and Calcote families. He served as the Chairman of the Atascosa County Centennial Commission in 1956. On February 16, 1989, Judge Brite was named as the Senior Citizen of the Year by the Pleasanton Chamber of Commerce. Additionally, he served as Chairman of the Retired, Senior and Former District Judges Association of Texas. In 1998 and 1999, he served as President of the Longhorn Museum Society. Taylor is survived by his sons, Steve Brite and wife Jean of Pleasanton, Gary Brite of Pleasanton, and Tom Brite and wife DeAndra of San Antonio; daughter, Patricia Brite Taylor and husband Danny of Waco; sister, Iris Brite Porter and Deby Brite of Phoenix, Arizona, and grandchildren, Chris Taylor and wife Maria, Matt Taylor and wife Stephanie, Jennifer Hissem and husband Josh, Amy Brinkerhoff and husband Lee, Emily Grecco and husband Rob, Kevin Hillis and wife Katie, Robert Brite and wife Colleen, Tara Brite and Mike Setara, Taylor Brite, Alan Brite, and Rachel Arevalo. He is also survived by his great grandchildren, Ben Taylor, Annie Taylor, John Brinkerhoff, Will Brinkerhoff, Zachary Grecco, Mia Grecco, Liam Hillis, Owen Hillis, Graham Hillis, Henry Brite and Jemma Brite Hissem. Visitation was held Saturday, January 12 from 9 a.m. until service time at 10 a.m. at Pleasanton Church of Christ, 1003 N. Main Street in Pleasanton. Interment followed in Pleasanton City Cemetery in Pleasanton. Serving as pallbearers for Taylor’s service were: Alan Brite, Taylor Brite, John Warner Brinkerhoff, William Brinkerhoff, Robert Brite and Norman Porter. Honorary pallbearers were; Julian Gomez, Abraham Saenz, Jr., Bob Hurley, Leon Zabava and Grady Roberts. In lieu of flowers, the family requests memorial contributions may be made to the Medina Children’s Home, 21300 State Hwy 16 North, Medina, Texas 78055. The family of Judge Brite would like to acknowledge with love and appreciation the care that was provided to him by Bertha Gomez and Julia Akers, who are both part of our family.